I’ve been thinking a lot recently about how so many of the people who directed some of my all-time favorite movies are currently MIA or stuck making movies that are beneath their ability. (This is how most of these blogs begin- as random thoughts that I decide might be interesting to expound upon.) When I actually began listing them, I was shocked to learn how many of my favorite directors are no longer relevant or no longer making movies that live up to their former standards. As I got to writing about each individual director, I realized this conundrum has a lot to do with the current state of the studio system in Hollywood- and I’ll get into what I mean by that as we go along. To compile this list, all I really did was go through my megalist of all-time favorite movies (which has 500+ films on it and counting) and look to see who has a serious gap in quality on their recent filmography. And by the way, before we get started, credit to Robert Zemeckis for making his triumphant return to live-action last year with Flight, or else he’d easily have been at the top of the list. Welcome back, Bob! Keep it up! 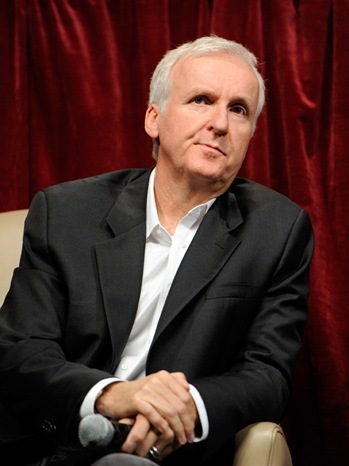 Inclusion on the list assumes this writer believes the director still has talent left. Mo-Cap Dies, Robert Zemeckis is reborn? This past weekend, while many moviegoers were out seeing Battle: Los Angeles ($35.6 million), Rango ($22.6 million), Red Riding Hood or The Adjustment Bureau, what Hollywood didn’t expect was that pretty much no one would go out and see Mars Needs Moms, which took in a tepid $6.9 million off more than 3,100 screens. And that’s WITH the film’s premium 3D ticket prices factored in. A $6.9 million debut on its massive $150 million budget sets it up to be one of the biggest financial disasters in recent memory. For one thing, I don’t yet understand how animated movies’ budgets are constructed, but I can’t fathom how any of them can cost anything close to that much money. Ridiculous. REJECTED! FOR THE COMMON GOOD. Why do even I bring this up? Oh, I’ll tell you. As it turns out, this box office catastrophe may have brought about some of the best news I’ve heard in years out of Hollywood. 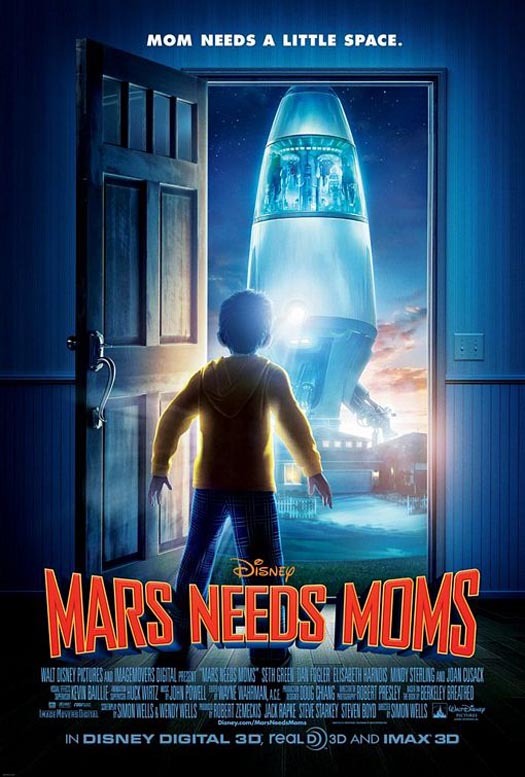 I never intended on seeing Mars Needs Moms, and I really had no idea who was behind it. I didn’t even realize (or care) that it was one of those motion capture movies (made famous recently by Robert Zemeckis‘ Polar Express, Beowulf and A Christmas Carol), and that Zemeckis himself was one of the producers. First things first, for once I can give a “Bravo!” to American audiences. This epic fail proves that Hollywood can’t just dump any computer-animated movie they want onto us, tack on an extra charge for 3D, and expect it to gross $200 million. Moreover, and because Hollywood is so panicky and reactionary, it may have put an end to Robert Zemeckis’ second career as a mo-cap filmmaker. This pleases me greatly. In case you need reminding, Robert Zemeckis is the guy who directed the Back to the Future movies, as well as Contact, Forrest Gump and Cast Away. ALL of these are among my favorites of all-time, and until recently I’d always listed Zemeckis as my third favorite/most influential director (behind Mr. Spielberg and Mr. Cameron). 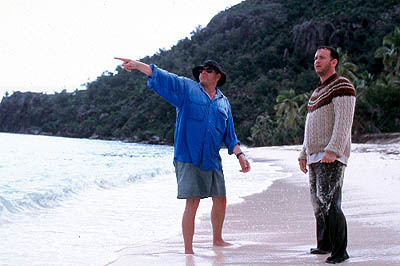 Cast Away came out 11 goddamn years ago, and that was the last time he made a live-action film. I’ve died inside a little bit with each subsequent year that Zemeckis has, in my view, WASTED his time and talents making these soulless computer-animated, motion-capture movies. 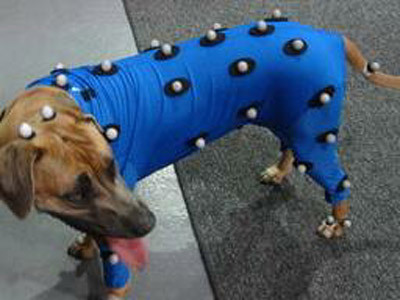 Until this week, he had been planning ANOTHER mo-cap movie as his next project, and was in fact deep into working on it. 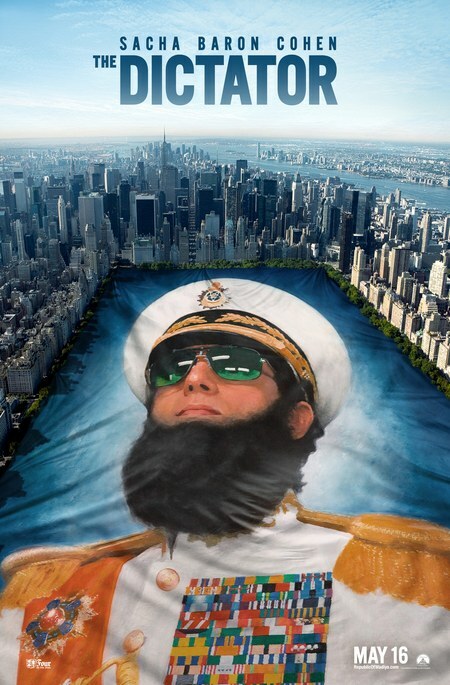 It was going to be- get this- a mo-cap remake of the Beatles‘ movie Yellow Submarine. No, I’m not kidding. That’s what he wanted to spend 2 years of his life working on. I mean, I couldn’t have picked a less interesting project for Zemeckis out of a hat that also had Saw 8, Fast and the Furious 6, and a Polar Express sequel as other options. Disney has now pulled the plug on Yellow Submarine, which all but kills it. Last year, they shut down Zemeckis’ ImageMovers Digital, which is his production company for all these mo-cap turds. In theory, another studio could now say, “Hey, WE want to spend $100 million+ on a Yellow Submarine remake!”, but that’s incredibly unlikely to happen. HUZZAH!!! So what does this all mean? What makes this worth writing about is that I’m hoping it means that we as moviegoers get Robert Zemeckis, one of the best storytellers in cinema history, back in the real world making real movies. Hopefully he’s had his fun with these other projects, and will not stubbornly pursue them further. That’s right, Bobby Z, it’s time to film real human actors in front of a camera again on real sets and at real locations. Not human actors wearing skintight suits with hundreds of little dots all over them tracking their every twitch for the computer so they can be animated later. This is one instance where a box office disaster may do us all some good as moviegoers. Like I said, there’s a real chance here that we may get one of our best directors back from out of the computer-filled cave he’s been hiding in for the last 10 years. P.S. Motion capture gets another chance this December with the long-awaited (not by me) release of Steven Spielberg & Peter Jackson‘s collaboration on Tin-Tin. Far be it for me to root against a movie made by two of my heroes, but…sometimes sacrifices must be made for the greater good.